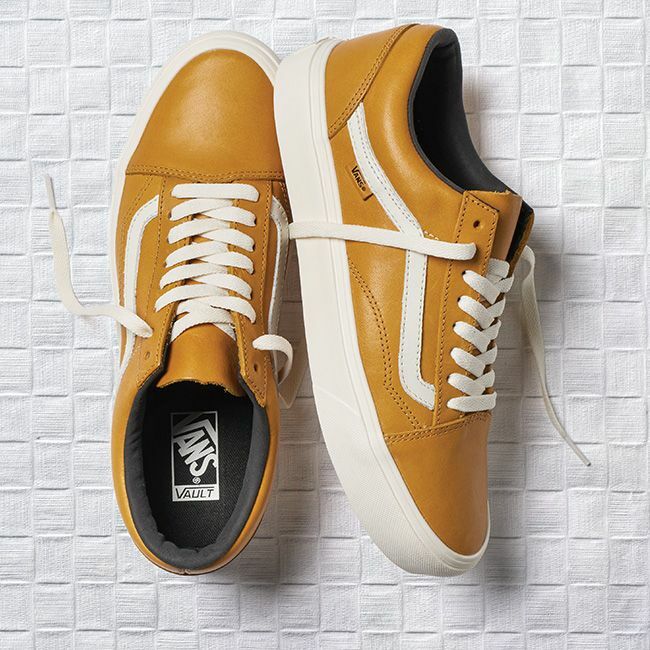 Vault by Vans x Horween — strictly waffles. 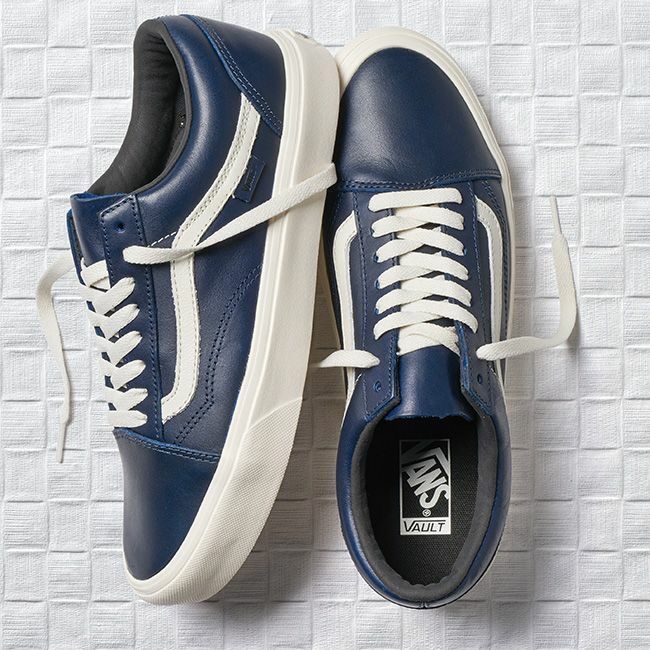 With multiple successful collaborations under their belts, Vault by Vans and the Horween Leather Company are a match made waffle head heaven. The Vault line was started with one mission, to blend high-end materials and construction with incredible design. The Horween collaborations are always a perfect example of mission accomplished. 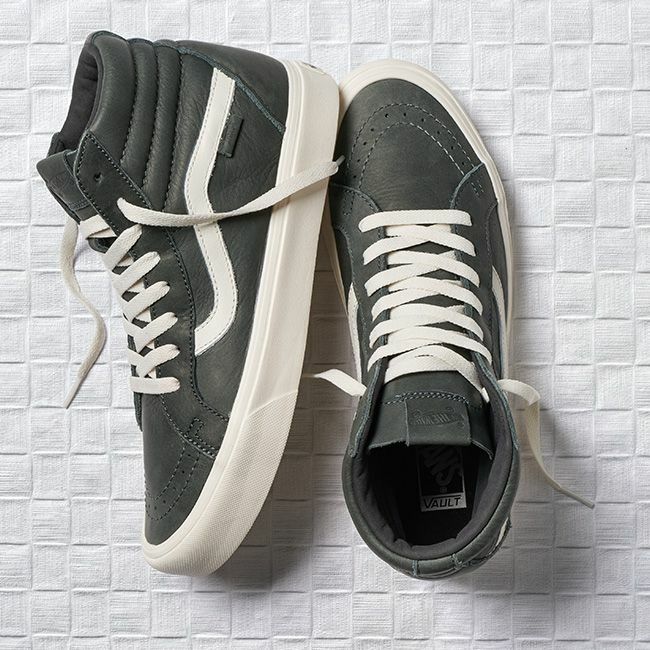 The collection includes the Sk8-Hi Reissue Lite LX and the Old Skool Lite LX. These classic silhouettes get a “luxe” upgrade with the rich, supple leather that has made Horween famous. Finished with the lightweight Lite sole, it’s what happens when rich tradition meets modern construction and should result in a super comfortable shoe. Both silhouettes come in three distinct colorways. The Sk8-Hi comes in Peat, Lollipop Red, and Parisian. The Old Skool comes in Lapis Blue, Old Gold, and Green. Off-white soles, a matching jazzstripe and laces complete the look. The collection releases Saturday, August 26th, at Vault retailers like Hot Rod out in LA. 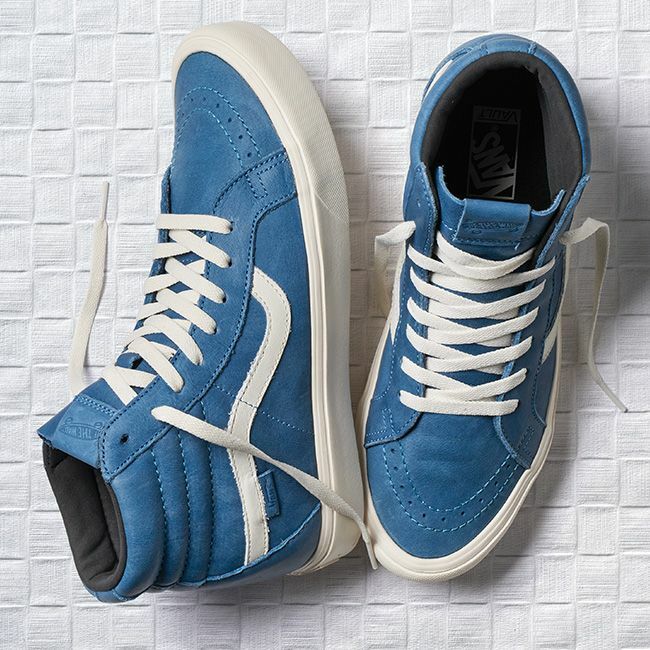 Prices are set at $125 for the Old Skool and $150 for the Sk8-hi. Don't sleep.